Gerald and Maureen Harley will be having a short farewell tour in NZ and will be speaking at the following churches. 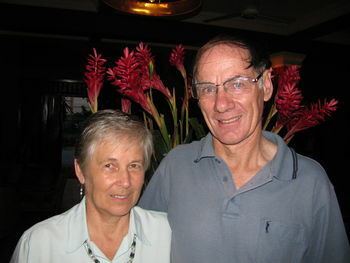 Gerald and Maureen Harley are originally from Otago, New Zealand. They have a long history with mission, having previously served overseas before God led them to Cambodia with NZCMS in 2003. Gerald is an experienced secondary teacher while Maureen has a background in nursing. Their primary ministry in Cambodia has been pastoral care of other workers (expats and locals) linked with International Co-operation for Cambodia. Sunday 30th September - worship at Naseby with combined service of Dunstan Parish. Sunday 28th October - Speaking at Holy Trinity Gore at 8am and 10am services. Tuesday 6th November - Southland Archdeaconery meeting in Invercargill.